in drills a quarter of an inch deep. Plant out 2 feet apart. Succeeds in any soil, either in full sun or part shade. ​Exotic, native to Europe, northern Africa and Asia. Horehound is used to make hard lozenge candies that are considered a digestive aid, soothe sore throats and relieve inflammation. It is highly unpalatable to livestock. It has been used in agriculture as a natural grasshopper repellent. 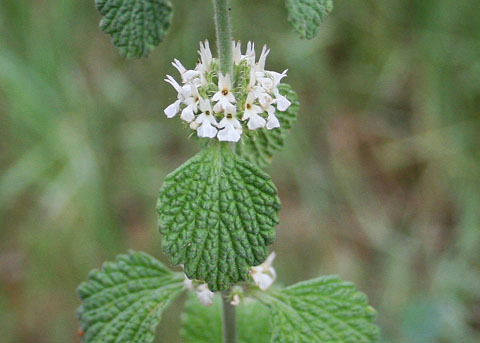 Some of the most impressive health benefits of white horehound include its ability to protect the immune system, prevent certain types of cancer, treat diabetes, boost heart health, soothe inflammation, eliminate indigestion and gastrointestinal distress, detoxifies the body, and eliminates spasms. The plant looks a great deal like mint, and is a part of the same family. It also boasts many of the same health benefits as other members of the family, making it an important plant in a number of traditional medicinal practices. The plant is relatively small, not growing higher that 18 inches, with small leaves covered in small hairs. The flowers of this plant are white and can also be used, along with the leaves, in the extraction of essential oils. This plant has both medicinal and culinary uses, although they are closely connected. For example, it can be used to make throat lozenges or candies, which are used to soothe sore throats. Horehound beer and tea have also been popularized in some parts of the world.